Conservative candidates will be suspended if they insult rivals, the new party chairman says. 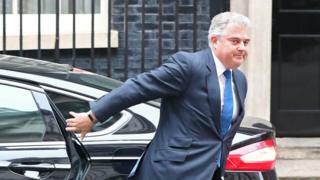 Brandon Lewis said a new code of conduct would require people standing for Parliament to "behave responsibly and show respect" to others. Mr Lewis urged Labour to sign up to the same guidelines as he vowed to improve the Tories' digital campaigning operation. Labour's Jeremy Corbyn said respect should be "the norm in public life". 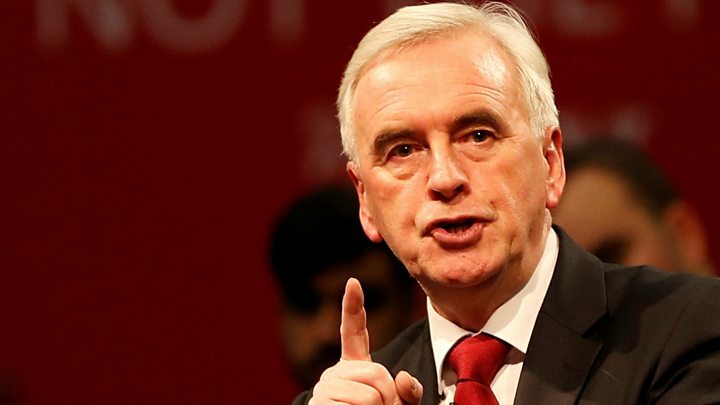 Asked about previous remarks by his shadow chancellor John McDonnell, Mr Corbyn said: "I would rather stick to where I disagree with somebody on their policies." In 2015 Mr McDonnell described Conservative Esther McVey, who was last week made the new work and pensions secretary, as a "stain of inhumanity", and he has also been criticised for quoting someone talking about "lynching" her during a meeting in 2014. This was used by Mr Lewis to claim there was a "rot" at the top of the Labour Party. But Mr Corbyn told ITV's Peston on Sunday: "It's a basic in the Labour Party that you treat people with respect. I don't do personal abuse, I don't expect candidates to do so." Mr Lewis - who was made Tory chairman in last week's reshuffle - also set out his plans to improve the Tories' online campaigning. Labour's digital strategy was a key part of its 2017 general election campaign. What's wrong with Tory social media message? Mr Lewis told the Sunday Telegraph young Tory activists would be given a digital "toolkit" of graphics, Gifs and videos to help them. The Great Yarmouth MP said the party needed to be "very positive and proactive about outlining what we're doing in government... so we can enthuse them about being Conservative and... not just vote for us but get involved". Mr Lewis said his focus would be on getting the party "battle ready" for the next general election and prepared for some "really difficult local elections" in May. He added: "It's not just young people, older people are accessing their information through the digital world as well... It's important that we've got to engage through that medium." Appearing on the Andrew Marr Show, Mr Lewis also defended a Tory social media campaign that promoted a new ban on credit card surcharges. The ban had actually come about as a result of EU legislation. After Theresa May tweeted to say "we've banned credit card charges", she was criticised by some MEPs. European Parliament Brexit negotiator Guy Verhofstadt also tweeted it was "refreshing to see so many embracing the benefits of EU legislation". Mr Lewis said that while the UK remained in the EU, Conservative MEPs were "fully represented and part of the process of making those decisions". Mr Lewis also defended the Tories' failure to provide figures for the total number of party members they have. According to some estimates, their numbers have fallen behind Labour, the SNP and the Liberal Democrats. Asked how it compared with Labour's membership, which has surged beyond 500,000, Mr Lewis said he was "not going to play a numbers game", and that he planned to obtain an overall figure which was not currently available. The party has a "huge number" of members and activists across the country, he added.